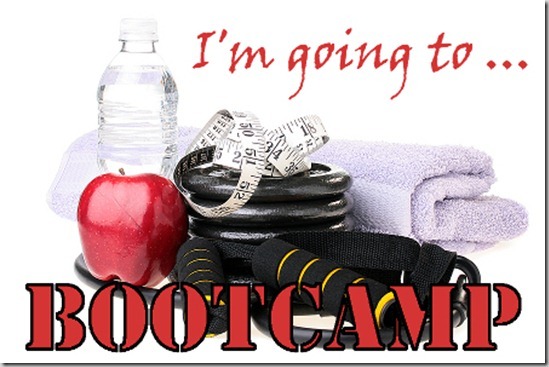 Week 3 of Tina's Best Body Boot Camp is complete! For the first time in too long, I was terribly sore all week. I was definitely feeling it going up and down stairs and especially getting out of bed each morning! However, despite how excited I was to be sore, I was very disappointed this week. For some reason, I have hit a (what I believed all week) plateau in my weight loss. I noticed that I have not lost a pound in a few weeks. It was eating me alive all week... I reviewed my eating habits, pushed myself harder than normal at the gym, and even tried some new-to-me cardio. But the scale wouldn't budge! This definitely made the week tough. Without seeing progress (on the scale or in inches), I was tempted each day to skip the gym and order myself a big pizza. After the gym, Amy (an amazing bridemaid of mine) came over to hang out and discuss wedding invitations and other wedding plans. I am excited to be a part of her wedding in June! It's nice to have a fellow bride during the planning process. It's also nice to have her around since she is a health and fitness genius. I told her about my rough week and my inability to lose a pound. After lots of questions and answers, I gave her MyFitnessPal and through that, she was able to see how much calories, fat, carbs, and protein I was consuming each day. Little did I know, I am currently only eating half the amount of protein I should be eating compared to how many carbs I'm eating. When I think of carbs, I think of breads and pastas - something I have been staying far away from. However, I have lacked at reading labels and noticed that the greek yogurt I have been eating (sometimes twice or more a day), has almost 20g of carbs. A banana has over 30g of carbs... WHAAAA?! I eat bananas all.the.time. While I'm definitely not giving these things up, because I absolutely love them and yes, a yogurt or a banana is a much healthier snack choice than many other choices I would have made back in college. But, this new information will make a difference in my diet from here on out. If it works, THANK YOU AMY. If not, I'll try something different :) I'm not giving up! 250 days until our wedding! Woo hoooo!